Get this ESL worksheet pack to teach writing the alphabet and numbers to children in a fun and exciting, new way! Don’t forget to check out our great alphabet song and counting songs such as “ABC to XYZ,” “Five Cats (1 2 3 4 5),” “How Many Monkeys,” and “I Can Count” from BINGOBONGO Rock Vol. 1 and BINGOBONGO Rock Vol. 2. 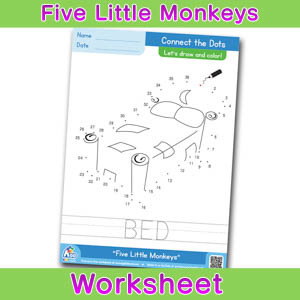 SKU: CD1-03-AT&NT-WKP-1 Categories: Worksheet Pack, Worksheet packs Tags: ABC To XYZ (The Alphabet Song), BINGOBONGO Rock Vol.1, Five Cats (1 2 3 4 5), How Many Monkeys? Get our popular alphabet and number writing practice worksheets all bundled into one convenient downloadable worksheet pack. 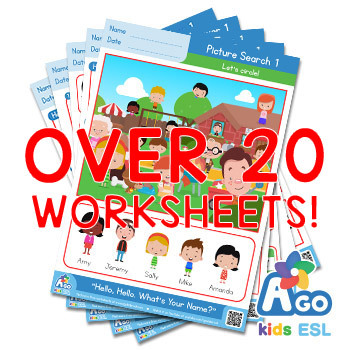 The pack includes 73 worksheets in all! Student can practice uppercase and lowercase alphabet letters, as well as numbers from 0 – 20. With easy-to-follow stroke order and large letters which get smaller and smaller, students will learn to love writing English letters and numbers. After they finish writing all the numbers, they can color the cute pictures in the worksheets and practice counting for numbers. This is a must-have resource for any ESL/EFL English teacher.